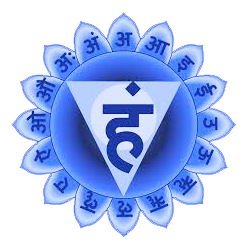 Visuddhi Yoga is a vedic Yoga and Ayurveda institution teaching and promoting holistic healing and vedic sciences like Yoga, Ayurveda and vedic Astrology. We offer a wide range of courses that includes Hatha, Yin Yoga, Therapy and Kundalini Yoga Teachers Training Course accredited to Yoga Alliance international (YAI), We also offer Yoga and Ayurveda retreats, Ayurveda residential courses, and online Yoga and Ayurveda courses. Vishuddhi Yoga conducts courses in India (Goa) and Europe (Sweden and Denmark) locations. We do have a dedicated and devoted team of teachers, trainers and therapists who have been studying and teaching Yoga and other Vedic Science disciplines for many years under the direction of the enlightened spiritual masters. They understand the requirements of the students and curious learners who are seeking the intervention and teachings of the genuine Vedic teachers and Yoga ashrams in India. Over the years, Visuddhi Yoga has established its own unique position by offering quality trainings, health solutions and retreat packages to the people from all parts of the globe. We are deeply passionate about spiritual and cultural exchange of East and West through our Yoga and Ayurveda Courses. We are working persistently with the mission of spreading the Vedic Yoga culture and life path to all parts of the globe. We strongly believe Yoga will reach to millions of people across the globe to transform their hearts, minds and self in the times to come and we are proud to be the volunteers and propagators of the same in the present. The vision of Vishuddhi Yoga is to design and deliver simple, effective and relevant training courses for the serious Yoga aspirants & enthusiasts who are deeply interested to realize the essence of true self Knowledge and depth of divine holistic vedic sciences. Keeping the academic pursuit on the topmost priority, we are equally compassionate for alleviating the physical, mental and emotional sufferings and pains all around us. We are committed in providing affordable and simple holistic health solutions through Yoga and Ayurveda. We are determined to promote the holistic concept of health and living all over the world as we strongly think that the root cause of all our problems and sufferings is not conditions outside but what happens inside and how we attain the balance of mind, body and our self within without trying to change anything outside around us.